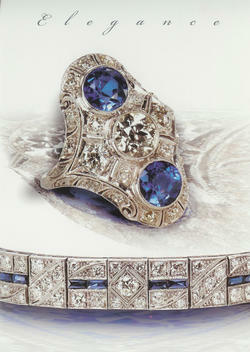 On June 25, 2015 the Singer Collection will be in our store with an Estate and Antique Jewelry Show. Situated in New York City, Stephen L. Singer houses one of the world’s most expansive and breathtaking collections of Estate Jewelry. Singer Collection travels the world to showcase treasures from every important period such as Victorian, Edwardian, Art Deco, Retro and other precious heirlooms, as well as an array of contemporary and signed jewels and is sprinkled with a dazzling array of celebrity pieces and/or very special delights from world famous jewelry houses. This collection houses one of the world’s most expansive and breathtaking collections of Estate Jewelry with hundreds of pieces priced from $500 to over $50,000. The entire collection will span at least 25 feet of showcase with rings, bracelets, earrings, brooches, pendants, necklaces, and more. Stop in Storey Jewelers on June 25, 2015 for a unique shopping experience!